In this file photo former Opposition leader Simon Busuttil is seen speaking in Parliament during a debate on the Budget. Updated Monday 6.45pm with a request for a ruling. A parliamentary question by former Opposition leader Simon Busuttil about Keith Schembri’s presence at Pilatus Bank chairman’s wedding has been disallowed by the Speaker of the House. Dr Busuttil’s question was addressed to the Prime Minister, asking him to state whether Mr Schembri had in fact attended the wedding. However, the former Nationalist Party leader was informed by the Speaker’s office that his question was rejected because it was “not relating to public affairs”. Dr Busuttil was told that, as per Parliament rules, questions could only be put to ministers about matters relating to public affairs or to any other member relating to any business of the House for which such minister or member is responsible. Dr Busuttil argued that the question was about something that had already been made public through media reports, fell under the Prime Minister’s responsibility and was of clear public interest. Dr Busuttil accused the Speaker of abusing his powers to block the question, the sources added. The decision ran contrary the Constitution, which described Malta as a democratic country that safeguarded people’s rights, Dr Busuttil insisted. He said the “abusive” decision to block the written question was more akin to what happened in autocratic countries rather than democratic ones. The Speaker’s office replied that Dr Busuttil was “misinterpreting” the rules governing parliamentary questions, the sources said. He was also told the Speaker had a different interpretation of what fell under the guise of “public affairs”, as laid out in Parliament’s standing orders, the sources said. 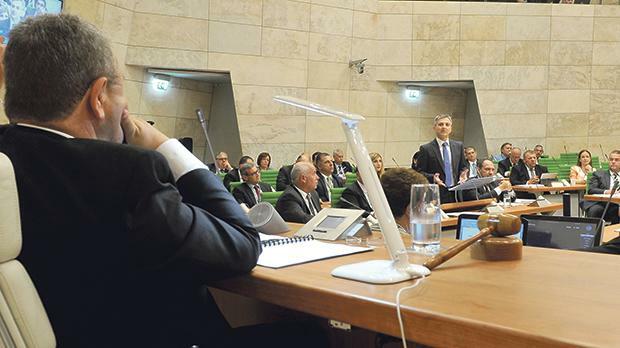 The Speaker’s office pointed Dr Busuttil to a ruling given by Speaker Anġlu Farrugia in which he quoted parliamentary practice in the UK as forbidding questions seeking confirmation of matters reported in the press. In parliament on Monday evening, Dr Busuttil requested a ruling from the Speaker about his decision. This, he insisted, was a matter of public interest wince the chairman of Pilatus Bank had been arrested in the US and faced serious charges which made him liable for imprisonment for 125 years. Furthermore, the chairman of the MFSA had said the issue of Pilatus Bank was a matter of concern. It was in the public interest to know what links the prime minister and his chief of staff had with this person. This was the second time the Speaker blocked a question about Mr Schembri. In March, he denied coming under any pressure to block two questions, also by Dr Busuttil, in which he asked about Mr Schembri’s business affairs. According to information in the public domain, Mr Schembri attended the Pilatus Bank chairman’s wedding in Florence in 2015. The Prime Minister and Austin Bencini, a member of the Allied Newspapers board, were also present. Dr Bencini said he attended in his private capacity (he was accompanying his wife, Juanita Bencini who, on behalf of KPMG, had handled the bank’s licensing process).